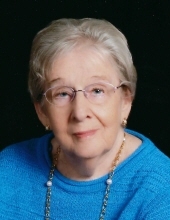 DURHAM: Bernice E. Canfield, 82, passed away on Sunday, March 24, 2019 at her home in Durham. She was born in Washington Co., MD to the late Bernard and Alice Miner. In addition to her parents, she was also predeceased by her husband, Franklin L. Canfield; sons, Franklin L. Canfield Jr., Timothy R. Canfield; and sister, Rebecca Miner Russell. Ms. Canfield was a 1955 graduate of Hagerstown High in Maryland. She was a loving mother, grandmother and great-grandmother that will be missed by all. Ms. Canfield was survived by her daughter, Robin C. Dennis (Richard); sister, Lorraine Barkdoll (George); daughter-in-law, Susan Canfield; grandchildren, Anthony J. Justice, Monica Ann Canfield, Franklin L. Canfield, III (Nicole); great-granddaughter, Emily Ann Marie King; sister-in-law, Hilda Canfield, and numerous nieces, nephews and cousins. In lieu of flowers, the family request that memorial donations be made to Grace Lutheran Church: 824 N. Buchanan Blvd., Durham, NC 27701. To send flowers or a remembrance gift to the family of Bernice E. Canfield, please visit our Tribute Store. "Email Address" would like to share the life celebration of Bernice E. Canfield. Click on the "link" to go to share a favorite memory or leave a condolence message for the family.